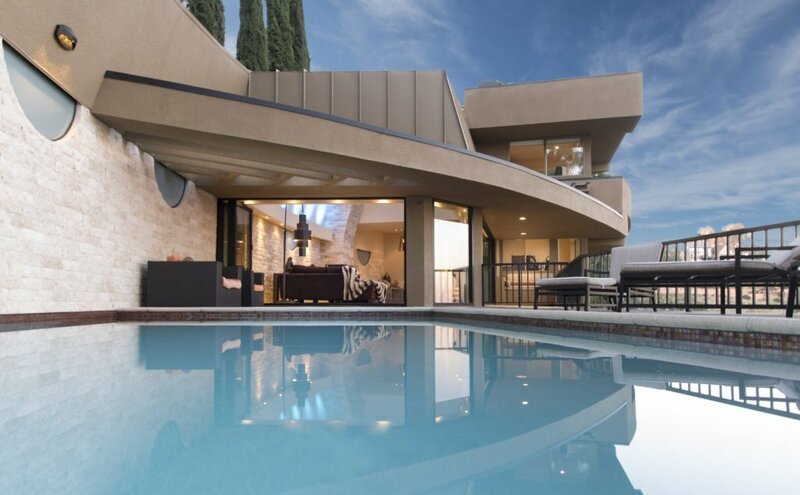 Welcome to the top, this welcoming contemporary residence overlooks the city of Los Angeles. The jetliner views serve a WOW factor like nothing else on the Sunset Strip. No detail was overlooked in the recent renovations. Exuding uniformity of design and attention to detail that will satisfy the most discerning buyer. A private entrance welcomes you into this dream home an open dining, sitting area with vaulted ceilings which leads to a grand living room that is perfect for entertaining. Open the Fleetwood doors and create a perfect indoor/outdoor flow to the pool/spa, sun deck + outdoor shower. Enjoy the city views from the Viking appointed chef’s kitchen with an effortless flow into the family room complete with a custom art wall. The upper level is the Master Suite complete with views, fireplace, patio, walk-in-closet, custom bath with honey onyx details. Features include 3 en-suite bedrooms, 2 car garage, porcelain floors & travertine walls. 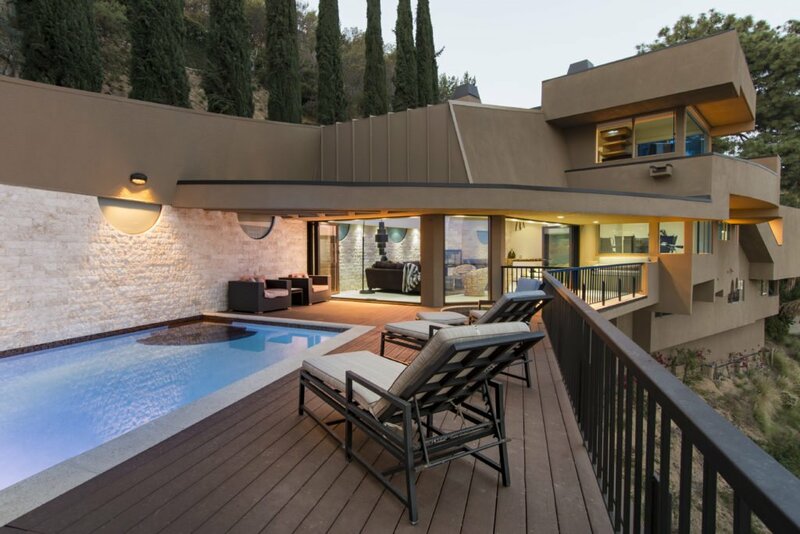 Address: 2201 Sunset Plaza Dr.